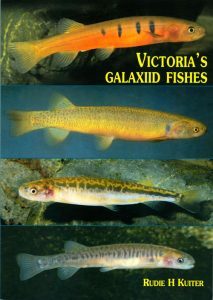 Galaxiid fishes are of Gondwana origin and well represented in Victoria. All known members are described and illustrated with multiple images, including many apparently new species. With nearly all natural habitats destroyed and predatory trout recklessly introduced, many species are critically endangered and surviving in headwaters of river basins as highly localised small populations in forested habitats. 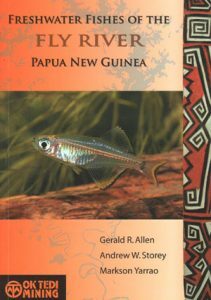 This book serves to make people aware of these special fishes living in our forests. 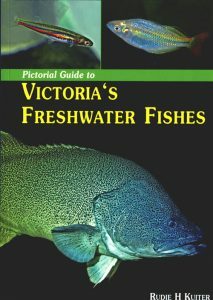 A pictorial guide that includes all the known freshwater species of Victoria, including many of the recently recognised species of Galaxidae, some probably now extinct. Quick-guide with small images are presented instead of keys to the families and the genera containing multiple species. Native fishes have a description, distribution map and are illustrated with multiple images. Exotic fishes are included, but with limited text, depending on their importance, and mainly with images. Artist/Author: Cutmore, Scott and Dr Kevin Warburton. 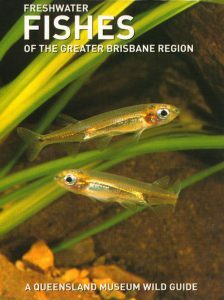 Contains 34 species of fish found in the rivers, dams and streams of the Greater Brisbane Region. Each species description includes a full-colour photograph and concise information on key features, habitat and distribution. Also included is a pull out visual branching key to aid identification. From the unusual mating systems of weedfish that give birth to live young, to the man-killing reputation of the awe-inspiring Great Barracuda, Australian marine fish cover a spectacular and diverse range of sizes, shapes and colours. A quarter of the world’s marine fish are found in Australian waters. 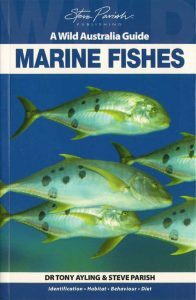 This Wild Australia Guide provides a simple but amazingly informative introduction to the common marine fish that inhabit our near-shore waters. Their lives are bursting with interesting facts for you to discover. 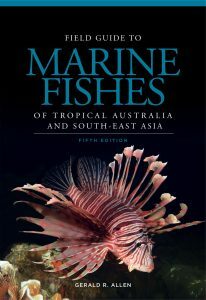 Using superb photographs and comprehensive text, this practical field guide gives readers an insight into the fascinating world of Australian marine fish. 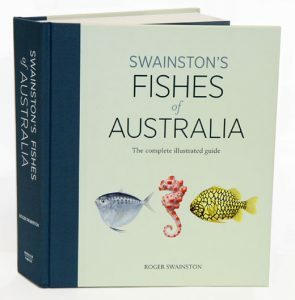 Swainston’s fishes of Australia: the complete illustrated guide. This title is currently out of stock. REPRINT UNDER CONSIDERATION, NO DUE DATE. Roger Swainston’s breathtaking artwork provides a fascinating overview of the extraordinary diversity of Australia’s marine and freshwater fishes. Here, more than 1500 remarkable illustrations portray every family of fishes ever recorded from Australian waters. The names of all known species are listed alongside detailed information on the taxonomy and biology of each family. Artist/Author: Allen, Gerald R., Andrew W. Storey and Marskon Yarrao. 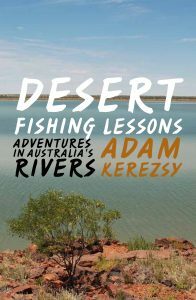 In this book, Kerezsy takes us on a rollicking journey through our arid-zone waterways and introduces us to the tough-as-nails animals that live in them; he shows us that we have much to learn from our healthy desert rivers, presents a compelling case to preserve them, and, using them as his guide, he outlines ways in which we can prevent further degradation of the Murray-Darling. Australia is fortunate to offer the fish enthusiast a wide variety of species, which live in a diversity of environments and display fascinating survival strategies. 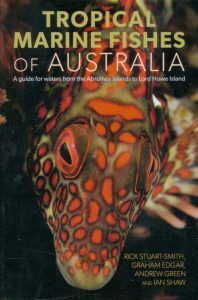 This Wild Australia Guide outlines the unique characteristics of Australia’s freshwater species, together with their diet and reproduction. Beautiful photographs assist with the identification of each fish. It would not have been possible however, without the ground breaking work of many scientists and researchers who publish their findings. Nor would it have been possible without the ongoing work of government agencies such as the Fisheries Departments of the various States and in particular the Murray-Darling Basin Commission, the Australia New Guinea Fishes Association (ANGFA), and many dedicated private individuals. Fishes of Australia’s southern coast. Artist/Author: Gomon, Martin, Dianne Bray and Rudie Kuiter. 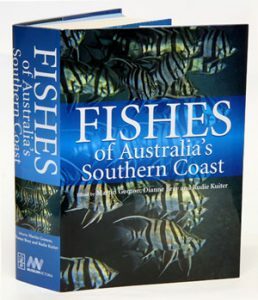 This book brings together the latest scientific knowledge on more than 860 species inhabiting Australia’s temperate southern waters, from the Recherche Archipelago at the western end of the Great Australian Bight to Wilson’s Promontory in the east, many found nowhere else. Those included range in size from tiny gobies and clingfishes less than 3 centimetres long, to the Whale Shark, the largest fish in the ocean reaching a length of 12 metres. 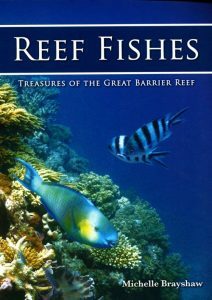 Thirty expert ichthyologists from within Australia and overseas have written accounts of all species known to occur within the area. Each species treatment is accompanied by one or more images (most in high-quality colour), a distribution map and a description that includes information on recognisable body features, size attained, colouration, habitat and other common names, as well as anecdotal information of interest to the reader. Where relevant, counts for fin elements, scales, teeth, photophores and other body parts are given. Illustrated keys are included at all levels of classification from subphylum to genus and species. 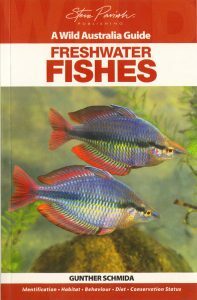 Introductory chapters outline the scope and geographical coverage of the book, describe the variety of aquatic habitats in southern waters, discuss conservation and other issues associated with human impacts on fishes, interpret fish classifications and provide detailed instructions on how to use the book.